Often, Nevada parents divide their assets equally amongst their children after death. This approach, however, may not fit all families or all situations. For any of a variety of reasons, parents may wish to leave their children inheritances that they may consider fair but unequal, and in these cases, revocable trusts can be useful. Take, for instance, a scenario in which one child already has a steady and substantial income, but the others make significantly less and have a greater financial need. Another example could be a special needs child with a disability, or even a younger sibling who still needs to pay for a higher education, while the parents have already paid for college for any older brothers and sisters. Unfortunately, it could also simply be a case involving an estranged child whom the parents plan to disinherit. Regardless of the circumstances surrounding the decision, trusts can be a useful tool in these situations, both for avoiding probate and by lessening the possibility of anyone being able to successfully contest the parents’ wishes, as is more likely with a will. 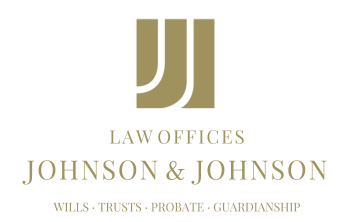 Assets are transferred to a trust while the parents are still alive, and after the parents’ passing, the trust states who receives the inheritance, with no probate process. Other children do not receive a legal notice like they would with a will. When possible, it can also prove extremely beneficial for parents to discuss their estate planning decisions with their children ahead of time, which could potentially avoid future conflicts. Through communication and the careful use of revocable trusts, unequal inheritances among children do not necessarily have to be a source of familial conflict. A Nevada attorney can help ensure that the estate planning process is executed as smoothly as possible.